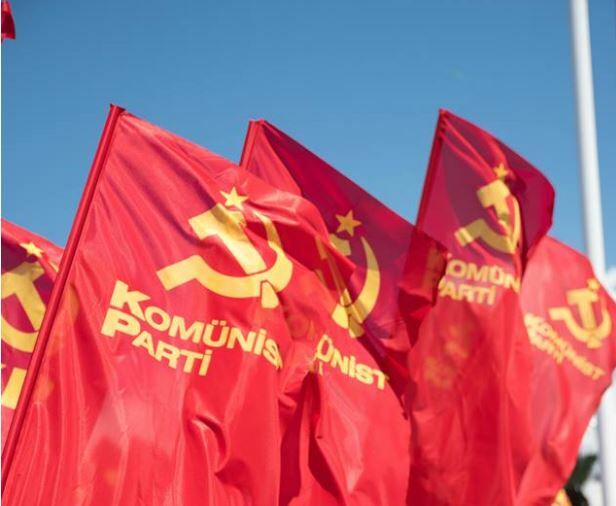 THE REPLY OF THE COMMUNISTS: Damn your minefield! Go close yourself to your palace now. Cause, your ex-masters are planning a disastrous end for you. They will catch you just from that sublime stability of yours and undermine. And you, our beloved people, you have no place in this minefield. We will take you out of this darkness you were drawn into by Ottoman dreams, stability-mania, blackmails and lies of all sorts. 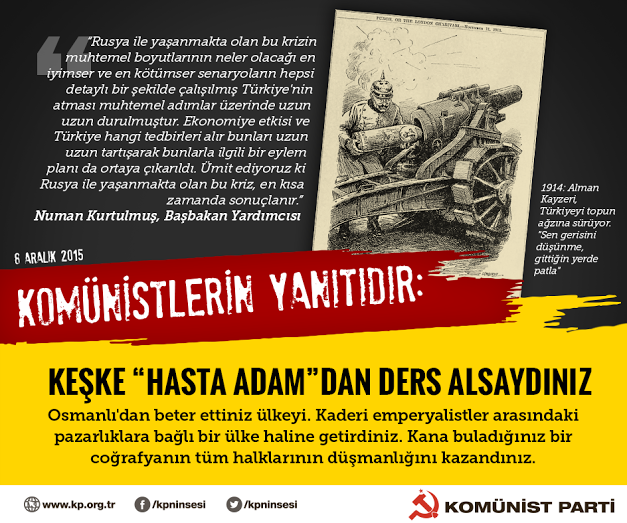 The reply of the Communists: You are in war with the laicisim, the fraternity, the willpower of people! The war they are involved is aiming for Turkey. The Islamic troops are expected to conquer Turkey not Aleppo. Our own land. 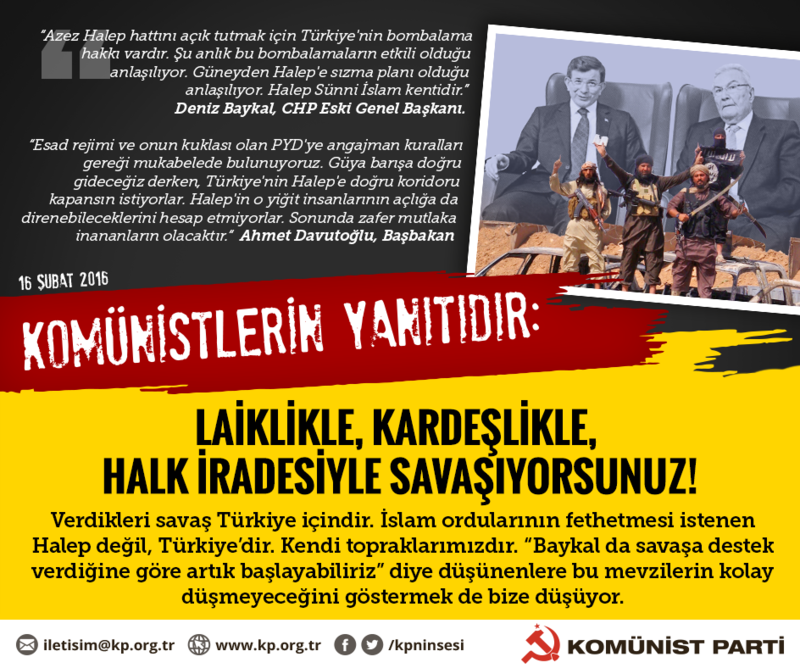 It is our job to show that these emplacement would not fall easily to the ones who think: " Since Baykal has also supported this war, we could begin“. In the corrupt world of capitalism, yesterday's friends may become the enemy suddenly. 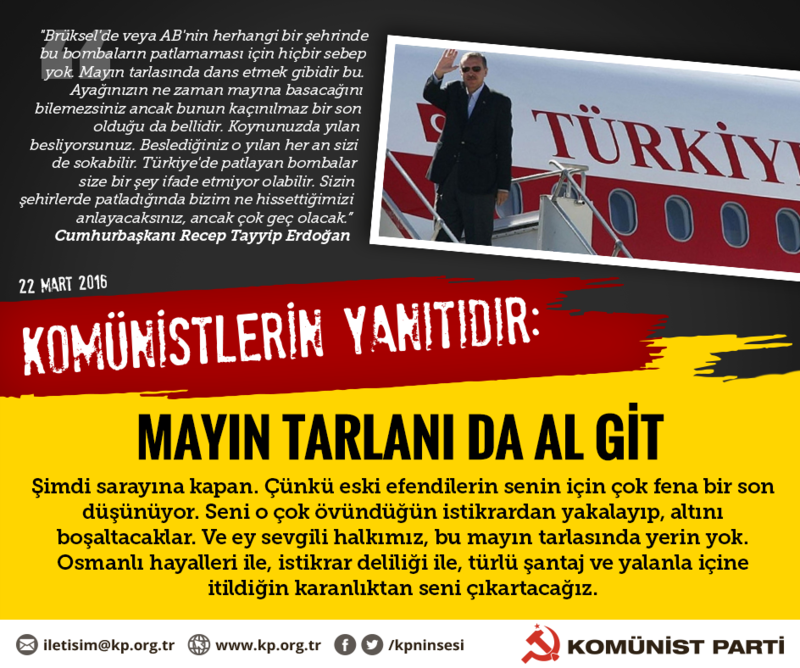 The advocate newspaper Yeni Şafak writes about a fund of 70 million dollars for a multinational coup plan againts Erdoğan. If you add up the shoe boxes in any 10 of Erdoğan's ministers' houses you end up with that sum anyway! Yet that 70 million has a meaning as a sum. 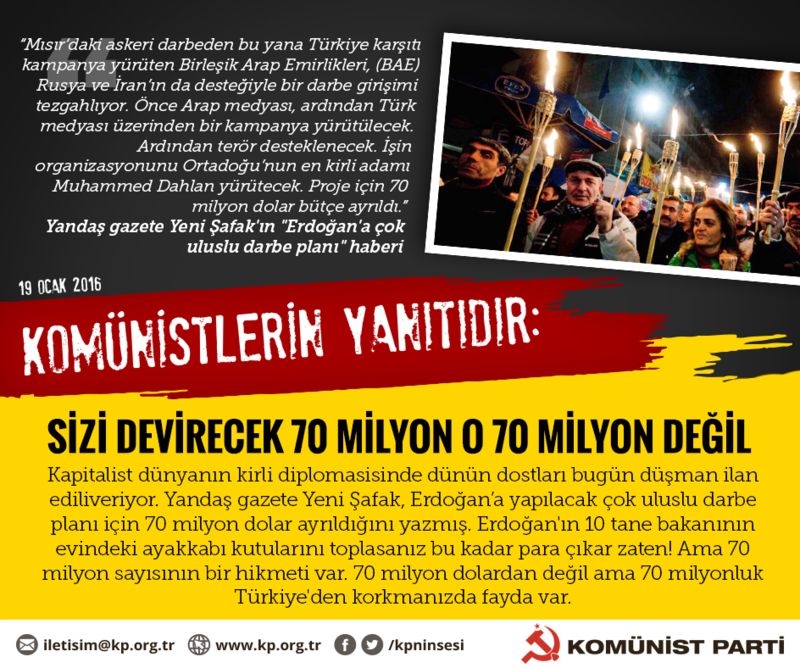 You should be anxious about the 70 million people in Turkey not that 70 million dollars. Ottoman’s downfall was an extended one. Ottomans survived a century extra. It is because the big states couldn’t decide how to share it. Eventually the Ottoman collapsed and dissolved. “I would be quite assertive here. We nail the oil smugglers. I wouldn’t keep staying at this post, I ask Putin himself: Would you stay at yours? Nothing like that happened within my information till today. We have been buying oil by legal ways so far. 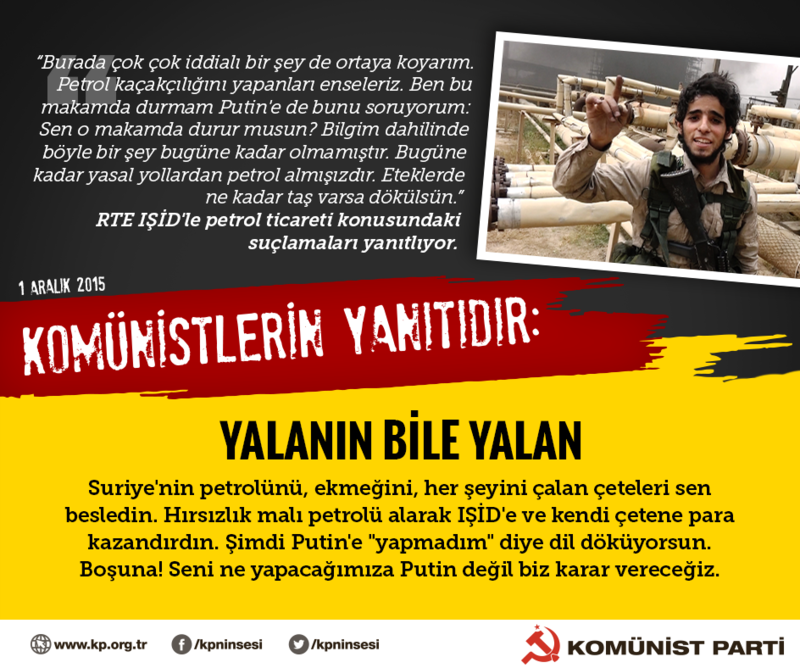 Let everyone get all off their chest” R.T Erdoğan on the accusations of the oil trade with ISIS. Even your lies are not true! You were the ones who provoked the civil war in Syria, who nourished the offenders of the people, who provided them guns, who rescued them. You even reached to the point where you have started to treat those who are responsible of the bloodshed in Syria as members of a ”State”. A gang rules this country: a gang which is mindless, irrational and immoral. Today, we have witnessed this once again. Turkey's southern borders are under severe violation. ISIS gangs pass through these borders; oil convoys sponsoring dark Islamist savageness and Erdogan's family pass; jihad squads pass who are requitted in our cities; TNT blocks pass to be blown up in our city squares; wounded jihadist psychopaths pass to be cured in our hospitals... And the Prime Minister chatters about 'whoever violates our air or land borders'. You are no less guilty! And you... You keep repeating “terror has no religion no motherland no race”. Yet, they keep murdering in the name of religion! Do you think the people of this country are unaware by whom these assassins are protected, armed and politically encouraged?